Missing ‘Green Stripe’ From The Pakistan Test Sweater Irks Wasim Akram: Ireland is currently in the midst of a historic Test against Pakistan, and after a frustrating rain-delay which is washing out the opening day’s play, they have finally got a taste of what playing cricket’s most extended format at international level. 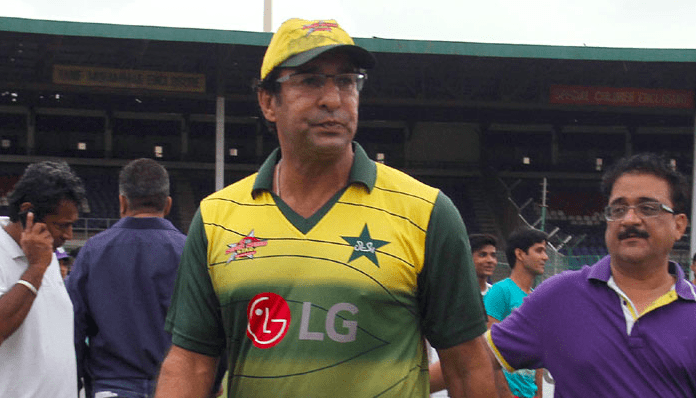 Pakistan batted first and their former captain and legendary bowler Wasim Akram spotted at an oddity with the uniform of their batsmen that is a missing green stripe from the sweater. The cricketer-turned-commentator was not impressed with the change. He immediately takes a snapshot of a Pakistan batsman and posting it on his Twitter handle asking a simple question Where is the green stripe gone from our sweater? Not cool. Traditionally the Test sweaters are worn by Pakistan cricketers which is have a green stripe running along the neckline. However, against Ireland in the ongoing one-off Test in Malahide, the stripe has gone missing prompting the question from Wasim Akram who has represented Pakistan in the 104 Tests, took 414 wickets and scored 2898 runs in a storied career. The Pakistan Cricket Board took notice of Akram’s tweet, thanked him, and a promising to launch a serious inquiry. Explaining his reaction, Akram later tweeting that the decision to do away with the stripe to give the uniform a modern look is something that should have conveyed, especially to those who have playing proudly with his kit. Do you think the green stripe should return to keep the tradition alive? Keep your suggestions on the above mentioned Article.